With festive events, markets, and decorations springing up around the city, the time has come to jump forward into yet another holiday season. This calls for the shameless retrieval of stretchy pants and a lax attitude towards the gym, as the next few weeks become an indulgent feast of the sweetest pies New York City has to offer. Jam Jar Bakery is a rock solid idea, providing delicious, home-baked pies in cute and appropriately portioned jars. Among a multitude of flavors, the Lemon Lust stands out as a uniquely zesty and fruity pie that reminds of the flavors of summer. You’ll fall head over heels for a filling sandwiched between a shortbread bottom and lemon-poppy pound cake top. Eat it in bed, order for a party, or spot one at a local foodie market. Satisfying your sweet tooth may never leave you feeling so ecologically sustainable than at Four and Twenty Blackbirds. 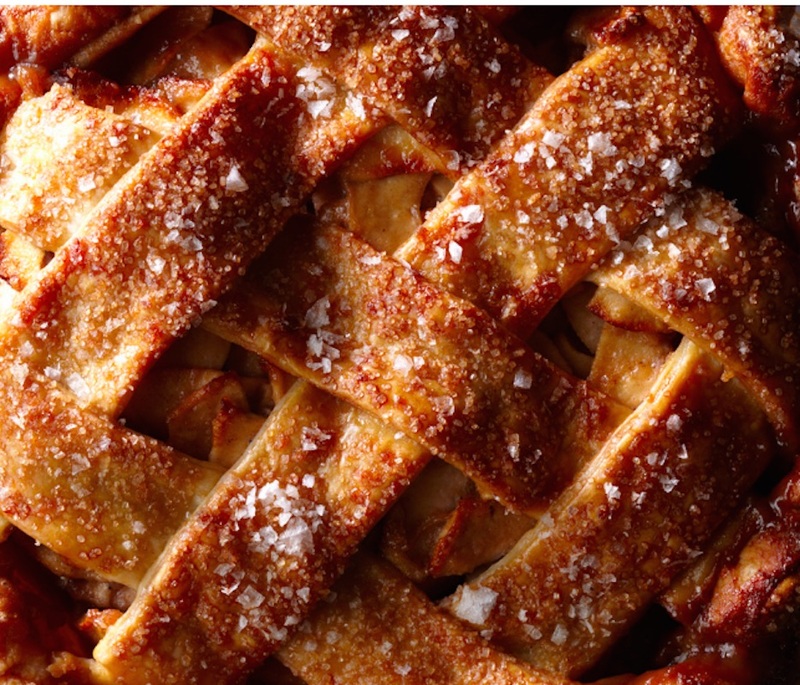 With a commitment to using as many local and organic ingredients as possible, Four and Twenty’s pies gives guests a taste of the best Apple Pie in the city. A twist on the classic with the addition of a salty, creamy caramel sauce baked with the apples, this pie is a perfect combination of savory butter crust and sweet fruit filling. If you want to do good and feel good, this American comfort is for you. Momofuku Milk Bar has seen the most hype of all the NYC bakeries. But don’t its celeb-status fool you, Momofuku still creates sensational American-inspired pies from locally sourced dairy producers. The crowd pleaser is the Crack Pie, made with an oat crust that’s baked to perfection and a sweet, buttery middle ready to melt any foodie who spoons one heaping bite into his mouth. If the sound of a gooey, buttery, toasty slice of heaven revs your engine, Momofuku’s Milk Bar should be your go-to pie stop. For some people, a smooth glass of whiskey, not pie, is their poison of choice. However, this may not hold true for long, as the Maple Whiskey Walnut at Petee’s Pie Co. takes a lot of Southern flavor and flare and turns it into one delicious freakin’ pie. Reviewers rave, describing a savory crust with a center that is almost like custard. Yes, most of the alcohol does gets baked off, but the whiskey flavor lasts, creating a well-rounded taste that complements the sweet, candied walnut topping. If you’re tired of the same old pies and want something with a little attitude, Petee has got you covered. Coming fully equipped with organic Texas pecans and top notch bourbon, this Bourbon Ginger Pecan Pie ain’t nothin’ to mess with. Butter and Scotch agrees that this special treat will have you raising your hands in praise; winning of 1st Annual Brooklyn Pie Bake-Off inspired the creation of the entire bakery, which has been leaving locals feeling satisfied (and tipsy!) for years. With an opening time of 5pm, this unique bakery also serves as a swanky cocktail bar. So treat yourself with the flavors of zesty ginger, sweet maple, and pecan goodness; your salvation can come later with a skinny girl margarita. Another home-grown company that takes pride in using seasonal ingredients, this bakery has a rotational menu. It seems that The Blue Stove’s cheddar crusted Blackberry Apple Pie is a high scorer from the menu. With a bit of homey apple goodness, a slight tang from the beautifully rich and dark berries, and a can’t-beat savory, cheesy crust, you cannot go wrong by trying this fall & winter classic. Top it off with homemade whipped cream or local vanilla ice cream. Self-proclaimed ‘pie-oneers’ with a mission to make life tastier one bite at a time, the ladies at Pie Corps have gotten everything right with this classy piece of heaven. 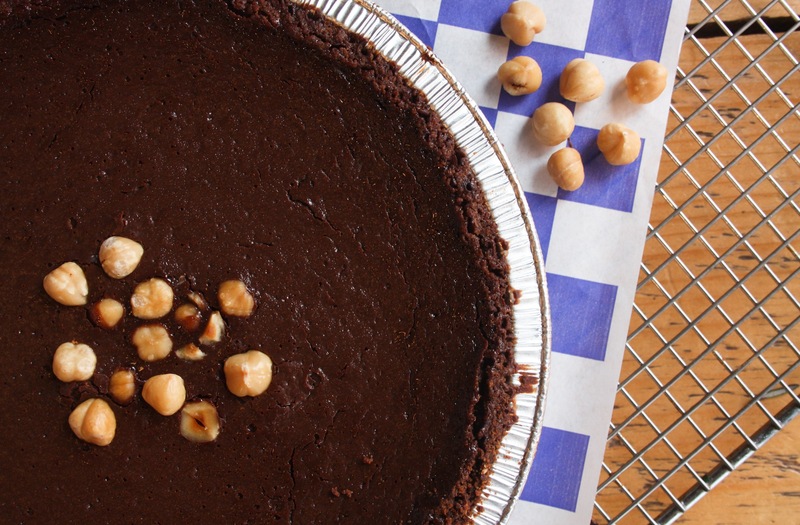 A beautiful, off-the-beaten-pie-path quadruplet made from chocolate, hazelnut, truffle, and sea salt, this one is for true pie lovers who know how to spot a delectable treat in a sea of so many. With over 20 years of experience behind them, the ladies behind this truffle pie only have your best interest at heart (and stomach!). An all-star American pie from its ooey-gooey center to its glazed, cookie crust peaks, this rich Mississippi Mud Pie from the Little Pie Company has diners saluting the muddy river that shaped the western borders of many of the original 13 colonies. Any chocolate lover will melt at the first bite through a top and bottom chocolate crust, a filling comprised of Belgian chocolate and brownie streusel, and a shiny chocolate glaze finish. If you need a little break from the cocoa chaos, ask for some added whipped cream or ice cream. Plain or accented, a slice of this pie will leave you feeling satisfied. While Southerners seem to hold a lot of honor when it comes to pie recipes and traditions, it doesn’t mean that the coast to coast adoration waivers in the slightest. Take the Pecan Pie at Two Little Red Hens, a traditional buttery filling topped with wonderfully toasted pecans, this pie’s perfection is tied effortlessly to its simplicity. For those who can’t quit the brown stuff, there’s a chocolate option which includes bittersweet chunks in the mix, but stick with the classic if you truly want to taste the rustic dynamic flavor duo of buttery nuttiness. If the pie doesn’t do you in, Steve’s puns surely will. Steve’s Authentic Key Lime Pies is where you’ll find all the keys to a great pie. With lime as a key ingredient, you’d be surprised to know that the American Pie Council credits only two commercial bakeries in the US with using freshly squeezed key lime juice. Luckily, Steve’s is one of them. With a genuine and faithful resemblance to the first key lime pies ever made, these minimalist, handmade beauts are recognized as the best in the city. If you are a fan of the queen of green pies, then order a slice, sit back, and enjoy the taste of a tropical favorite.